The CAGC Construction Excellence Awards honor projects recognized by the CAGC Pinnacle Award Judges as projects of distinction. 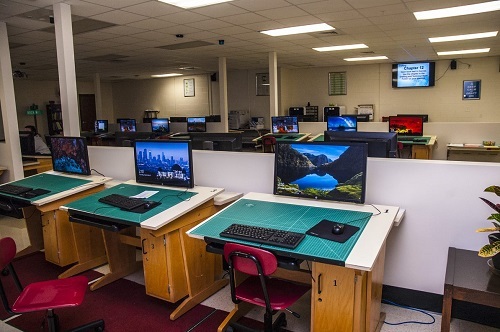 The Applied Technology Center is a single-story, three-building, 135,000-square-foot school renovation in Rock Hill, South Carolina. Construction included heating, ventilation, and air conditioning replacement, acoustical ceiling tile replacement, complete renovation of 19 restrooms, door hardware replacement/additions, and the installation of a new sprinkler system in each building, including a new fire line to the building. Batson-Cook shortened the original schedule from two summers (with an optional third summer) to just one summer – a feat deemed impossible by other contractors in both the North Carolina and South Carolina K-12 market. Cool Springs Volunteer Fire Department, totaling nearly 24,000 square feet, houses local Fire, EMS, Sherriff, and Rescue Services. 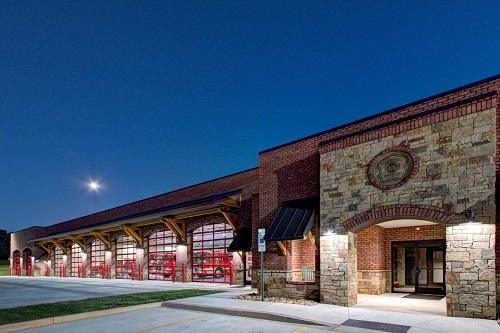 In the Design-Build effort between D. R. Reynolds and Fire Chief Andy Webster, this project’s unique and sustainable features include full height block and brick, 6” metal studs, LED lighting, and mechanical units which run off high efficiency 3-phase power to reduce the strain on the power grid and the day-to-day operational costs. These efforts will help keep monthly bills down, while providing a beautiful building that will serve the community for decades to come. 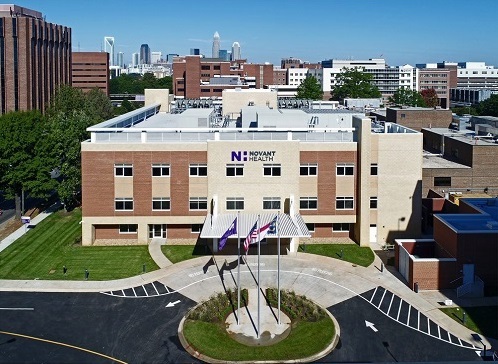 The Novant Health Charlotte Orthopedic Hospital is a new three-story, 90,000 sf tower addition, and the project also included renovations to the existing hospital. The 3 major phases of the project included relocation of the main hospital entrance, construction of the new hospital bed tower addition, and renovation of multiple departments on the 1st, 2nd, 3rd floors of the existing hospital. The project was performed within very tight working conditions and limited construction laydown in the urban Charlotte location. Vannoy was successful in limiting the impact on the existing hospital operations and keeping the hospital open throughout the addition and renovation. 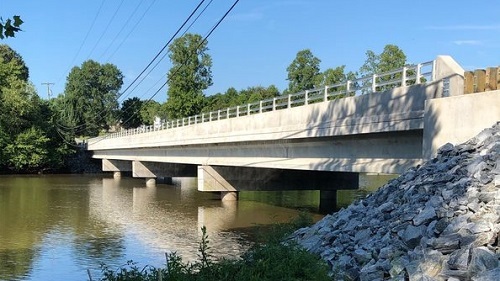 The existing 400’ bridge, built in 1949 using timber piles and short spans to cross Old Mill Pond/Gunpowder Creek in the town of Granite Falls, was in dire need of replacement. So much so that the bridge was finally closed in the fall of 2016 and traffic was detoured six miles around. To deliver the project early, R. E. Burns doubled the crews, extended work hours and worked weekends. Setbacks included flooding and a tornado, just to name a few. Proudly, R.E. Burns & Sons completed the project on time, within budget and without lost time incidents during construction. 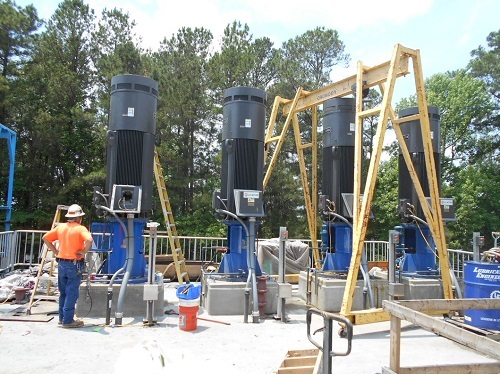 The Cary/Apex Raw Water Pump Station and Intake Improvements was an incredibly important project given that it provides drinking water to Cary, Apex, Morrisville, RDU International Airport and parts of Chatham County. This equates to over 250,000 people in the greater Triangle area. All components of the pump station were upgraded, allowing the Town of Cary to continue meeting the ever-growing demand for water in the Triangle. This project was met with its share of challenges, including site constraints, low-to-no lake water visibility, and a very aggressive schedule— challenges that, in Crowder fashion, were successfully worked out. Congratulations to the 2018 CAGC Construction Excellence Award winners! For more information contact Lori McGovern, 704-372-1450, ext. 5227 or lmcgovern@carolinasagc.org.